Uhm? Study? Seriously? Hell, I pretty much stopped paying attention half-way through high school. Not to knock the public education system, but 1.) I planned to sail to far ends of the earth, and I saw little value in much of what they were teaching, and 2.) anything of interest that they were teaching I more or less already knew. I’d been reading ahead in textbooks for years, and within the first week of class I’d usually read the year’s lessons from cover to cover. By time the teacher got around to each chapter, I’d already been there, done that, moved on to some detective novel and could care less about the class discussions. In the end I could ace most of my tests, but was labeled a problem student who rarely paid attention or contributed. Looking back, I suppose perhaps I should have paid a bit more attention in English; I’ve been told I have issues with my Oxford Commas… but that’s why editors exist. 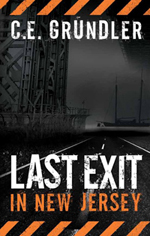 Fast forward to a few years back, when I’d first completed Last Exit in New Jersey, (and I say first, because that story has gone through numerous reworkings before becoming the book it is today,) I optimistically set out in search of my ideal agent, certain my debut work was a blockbuster in the making. Hey, when you’re dreaming, you might as well shoot high. And the first step involved composing a killer query letter, so I dug in and did my research. I read books, blogs, and online articles, versing myself in what I’d need to do to make my query enticing and intriguing. 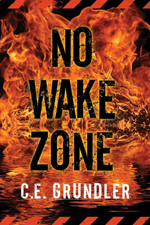 The blurb was easy, but regularly I’d read that I should include the writer’s organizations to which I was a member, as well as where I earned my MFA. MFA? WTF is an MFA? A bit more research yielded an answer: a Master of Fine Arts degree, something that would have required years of study beyond the Bachelor’s degree I never obtained. I needed an MFA to write a book? I guess I missed that memo. No, I’d been out there, living life. I hadn’t spent the requisite time between university walls; I was out in the world, paying my tuition in a different way and learning my lessons by living them firsthand. Losing my first car to a flood. Losing my first apartment to a fire. Driving around in a $100 Buick held together with pop-rivets. Discovering at twenty-one, as my peers were partying, I was going to be a mother. Buying fixer-uppers – cars, trucks, boats, homes – and then fixing them because that was the only way to afford these things. I’ve worked as everything from a commercial driver to a lobby ornament/receptionist in a high end corporation, a commercial illustrator, a boatyard manager, along with various other unusual jobs in between. I learned to learn from everything, both at the time and looking back. That talent from high school carried over, I’d learned if you give me a manual and a day or two, I can teach myself nearly anything from VI Editing and UNIX to rebuilding an outboard and keeping a diesel engine running. As I’ve come to notice how many of my fellow writers hold MFAs, I began to wonder if yet again I’d zigged in life when I should have zagged. My education has come from years of triumphs, failures, gains and setbacks – and often I’ve learned more from a single failure than from multiple wins. I’ve learned to learn from others around me, to pay attention to those who are ‘doing it right’ and pause to consider how and why. And while I don’t have a diploma from the School of Hard Knocks, for better or worse, the degree I’ve earned comes through in who I am and how I write. To my amusement, even as I was composing this post, Vincent Zandri offered his writing advice on education and it certainly gave me a smile. And here’s some grammar rules from Vampire Weekend. This entry was posted in Book, humor, writing and tagged education, life, MFA, School of Hard Knocks. Bookmark the permalink.